A while ago I started to think about where all my money was going and how I was spending it.. I realised that without thinking I was wasting money here and there on not much at all. It became obvious that if I started putting this money together to buy other items, I'd be able to treat myself to some really nice things! I have been buying magazines since I was a teenager - when I used to love reading up on the latest celebrity gossip. It was a habit that I was still into as an adult, although the price of magazines has risen drastically over the last couple of years. I realised that at £4+ a time I was spending money to read out of date celebrity news and style guides that didn't match me, my body or my style. It is so easy to pop into the shop on the way back from dropping D at nursery or when I am heading home from carrying out other jobs, however I realised that it was an amount that was soon adding up. 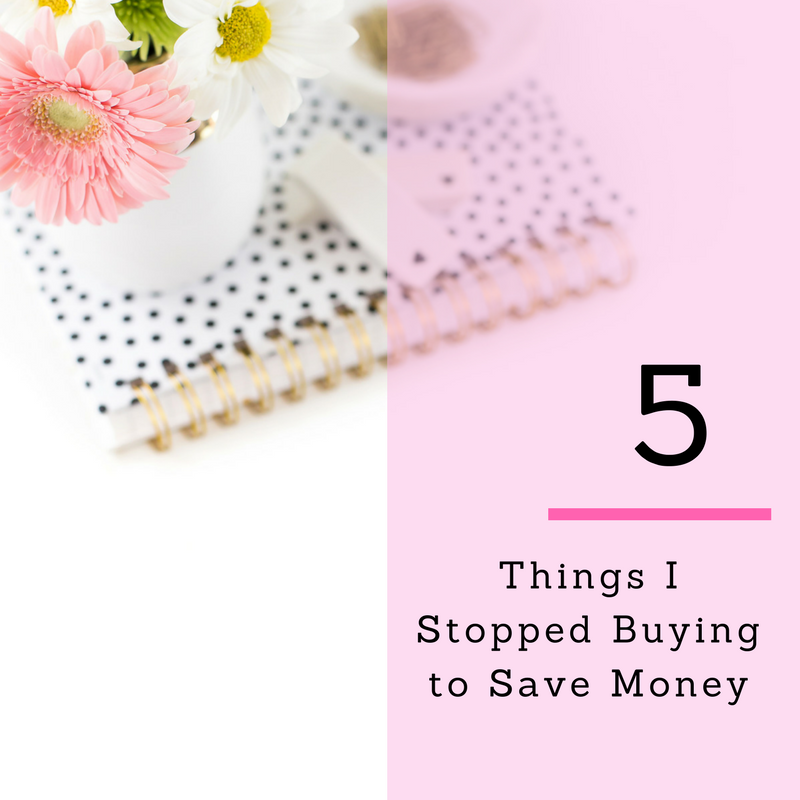 Instead I have tried to stick to doing bigger shops and buying what I need in bulk rather than popping in for a few bits at a time - which usually means I end up buying items I never planned on buying and spending even more money. Another way I have changed the way I shop is to buy items that need preparing, rather than items that have been prepared already. It's really easy to grab frozen chopped onions and grated cheese, but they're so much more expensive. Instead now I buy items as they should be and shop and grate them myself, which in the grand scheme of things takes next to no effort or time! I haven't cut out buying beauty products altogether, but instead I now make sure I use what I have. It is so easy to read blogs or browse sales and grab items that seem great and I can convince myself that I need However, rather than spending money on items I don't need I have tried to use what I have and make sure that these are emptied before I start to spend money on other items. In the past I have spent a fortune on clothes, getting carried away with trends, bloggers and fashion sales. Nowadays, I try to think about what I am buying, ensuring that it is something that I need and will actually wear. Gone are the days of having a wardrobe full of dresses with tags on, these days I try to be much more sensible with my fashion purchases. Of course, with any money saving scheme a money saving discount code is always handy - keep an eye out for those too! What do you think you'd cut back on, if you were trying to save money? definitely the beauty products, especially my beloved Lush. I would have a very hard time cutting back on beauty items or clothing. I applaud you for being able to cut those buys down. I completely agree about the small shops, it's amazing how much you can spend without realizing it when you make frequent small trips to the grocery stores. That would most likely be an area that it would be easier for me to cut down in. I also had to cut back on magazines as they are so expensive. Now I have a digital subscription and a lot less in the recycling bin! Me too on clothes from Target! I simply avoid that section all together now. Everything is too cute and I've learned that when I bring it home .. I won't end up wearing most of it. Totally agree on doing bigger supermarket shops. Too easy to overspend on the small shops. i have stopped magazines as well so much paper waste when all the content is available online! Comfort pure fabric conditioner because it doesn't upset my sons sensitive skin and smells lovely too!